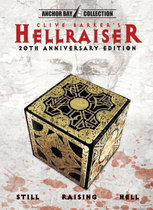 Possible Directors for "Hellraiser" Remake? The fine folks over at Bloody-Disgusting have exclusive word on who might be directing the on-again, off-again, on-again Hellraiser remake for Dimension Films. The news is cool enough that I'll let them tell you all about it. You can click here to read the news over at their site (link opens a new window). Del Toro's "At the Mountains of Madness" Charging Ahead? Spyglass Entertainment Remaking Cronenberg's "The Brood"
DVD Drive-in reports that VCI Entertainment has issued a recall on all copies of Children Shouldn't Play with Dead Things: Exhumed Edition after discovering a major error in the disc. A miscommunication in the final stages of production resulted in a cut version of the film with unfinished video corrections being released. VCI will begin an immediate recall of the problem DVDs and will replace them as soon as the corrected DVD master can be replicated. All direct wholesale and retail customers should contact a VCI Customer Service Rep by calling 800-331-4077, emailing vci@vcient.com, or faxing 918-254-6117 to make arrangements. Instructions on how consumers who have already purchased the DVD can get a replacement disc will be posted on the VCI website within the next few days. 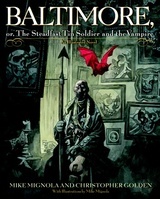 Goyer to Helm "Baltimore, or The Steadfast Tin Soldier and the Vampire"
The graphic novel "Baltimore, or the Steadfast Tin Soldier and the Vampire" by Mike Mignola and Christopher Golden is coming to the big screen courtesy of production company New Regency and director David S. Goyer. Variety.com reports that New Regency acquired the rights to the book, which was just published by Bantam, in a deal worth seven figures. 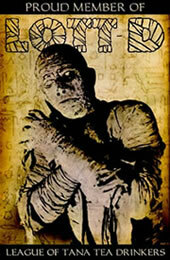 Mignola and Golden will write the script themselves. "Baltimore" follows Lord Henry Baltimore, who is turned into a vampire in WWI and watches the vampiric plague ravage his family. New NBC Series "Fear Itself" = Third Season of "Masters of Horror"
Producer-director Mick Garris told Fangoria that his recently announced series "Fear Itself", produced by Lionsgate and set to air on NBC during Summer 2008, is the third season of "Masters of Horror." The main difference betweens the series are shorter episode runtimes (to accomodate commercials) and the content will have to meet a stricter set of standards regarding violence, language, and sexuality. However, Garris revealed that Lionsgate would be releasing uncensored versions of each episode that would run a least five minutes longer than the network versions. Russell Mulcahy Directing "Zen in the Art of Slaying Vampires"
Director Russell Mulcahy (Highlander, Resident Evil: Extinction) is attached to direct an adaptation of Steven-Elliott Altman's novel "Zen in the Art of Slaying Vampires" for CP Productions, according to Variety.com. Altman will write the screenplay himself. The book follows a man who is turned into a vampire and seeks the path of Buddhist enlightenment to fight his cravings for human blood. A video game is also being developed to dovetail with the film.